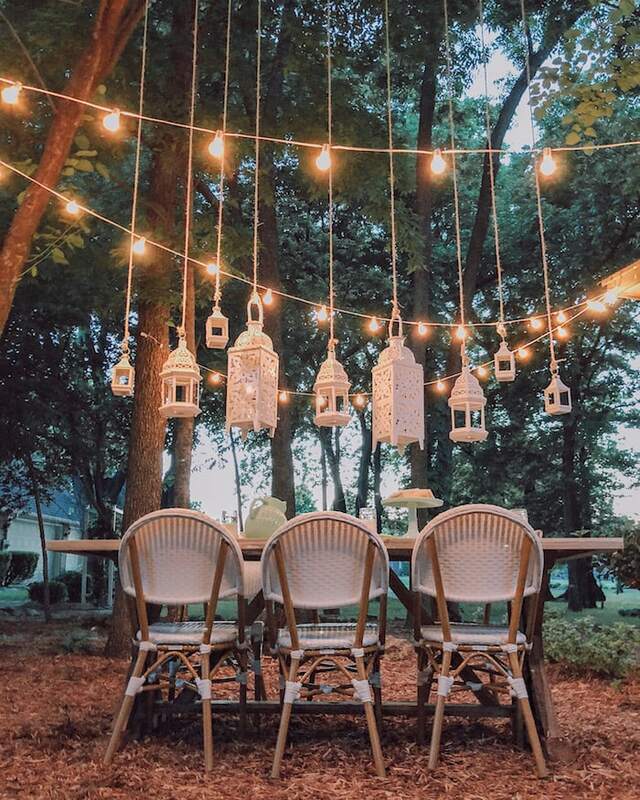 Welcome to another Styled & Set event where we pull out all the stops to share beautiful, unique tablescapes for your enjoyment and inspiration. Thank you to Lory of Designthusiam for putting this all together. If you are coming over from Anita’s at Cedar Hill Farmhouse, she may have been on the phone with me while you were there. Tables are often decorated for holidays & guests. I think we should sometimes treat ourselves as guests. Put the plate down & step away from the counter. Dining solo should not be a hurried, vertical event. Relax, kick your shoes off, grab a stack of pretty books & magazines. 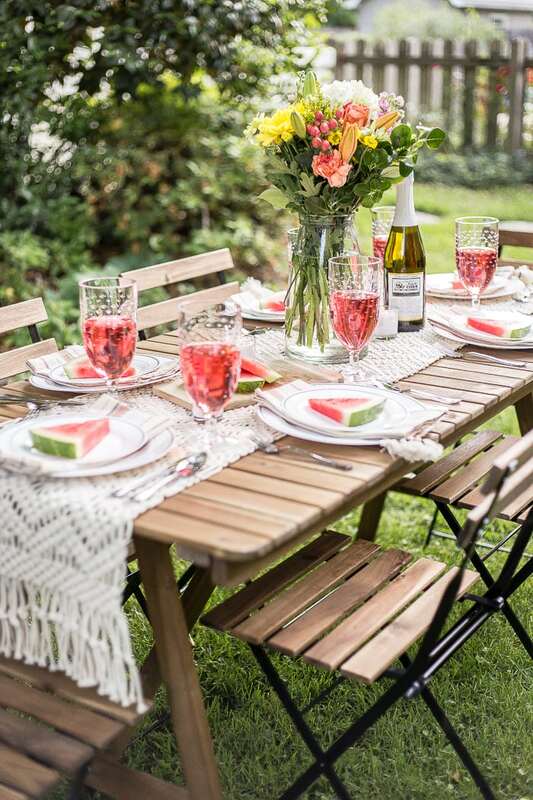 Pour a favorite beverage, pull up a table to a comfy chair. Then settle in and enjoy! Enjoy the peace, the slow pace and the quiet ~ and don’t feel guilty about it. Every once in a while I end up home alone for dinner. I have to say, it is kinda nice. Nicer when you take the time to make yourself feel special, like you make everyone else feel all the time. So set a pretty table, even if it is a small accent table. Use the “good stuff” ~ you’ll only have to hand wash a few pieces. Eat whatever you want…and eat it slowly. Savor the meal & the time. 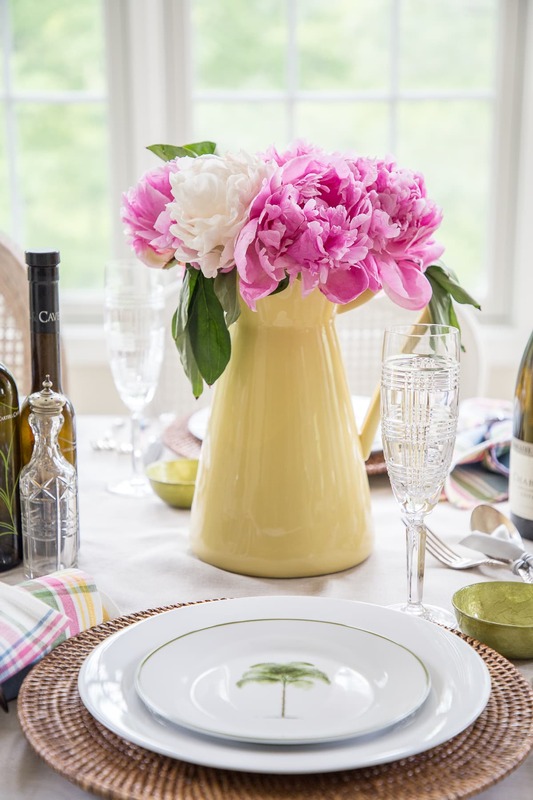 Beautiful tablescapes don’t have to be jut for company or holidays. 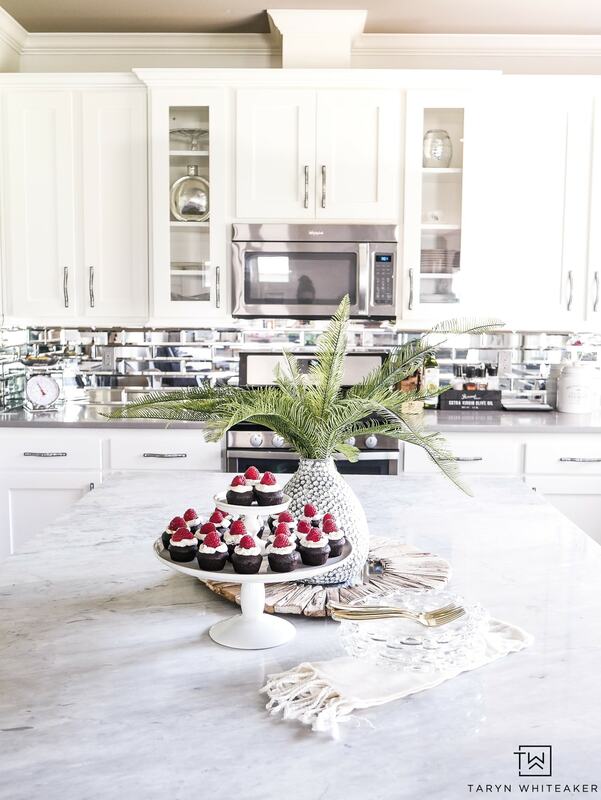 Elevate the everyday ~ your everyday, by setting a beautiful table for one, two or just a few. It is really easy to do, especially now that the Decorating Tips and Tricks home decor shop is open!! We flung open the doors to quite a crowd on Monday. Today is another sale featuring a collection I designed. There are placemats, napkins, darling tea towels, pillows, lavender schets and more. And SO much more is coming! We are just getting started. We have a sale every Monday, Wednesday & Friday featuring our designs that are created in the USA. The bottom line is we are taking the guesswork out of creating a beautiful home! Join us by adding your email to our insider mailing list HERE. The black ticking pillow, buffalo check napkins & placemats you see here are all from today’s sale. Enjoy the wonderful tour and if you have a moment pop over to the DTT shop to see what we have designed & created with you in mind! 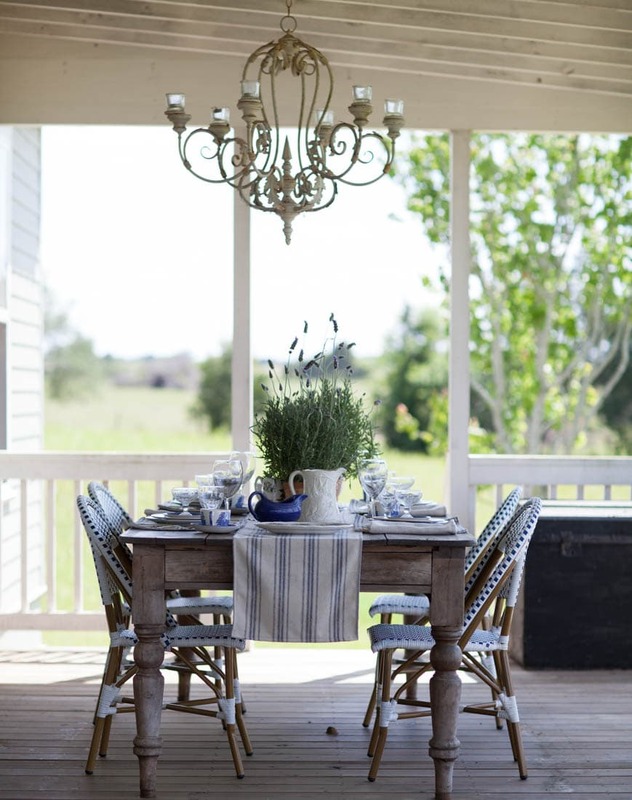 Next up is Cotton Stem – oh my my, I know you are going to love the outdoor table you will find there! 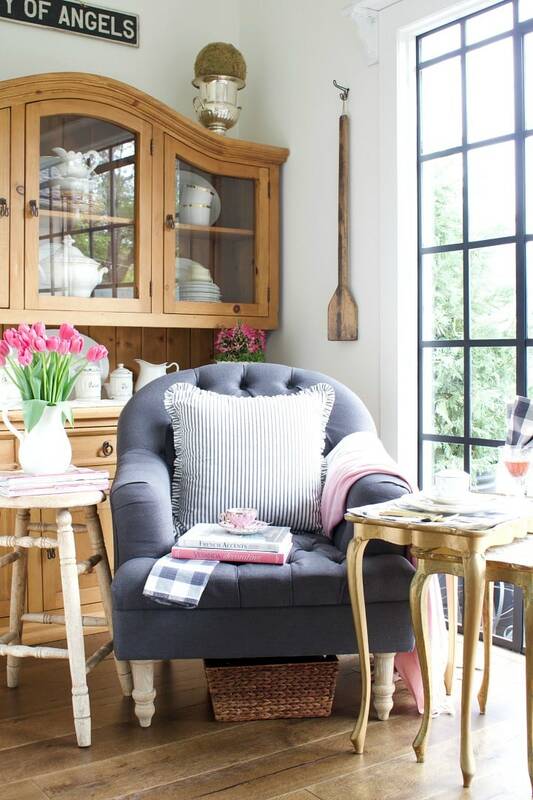 Oh my goodness I am in LOVE with the black ticking pillow! One will be coming to my house soon! Well if this isn’t the cutest thing?! I love the idea of making it special for one! Where did you get your gray chair? It looks soooooooooo comfy!